The autocorrect bug in iOS 11 has made Apple release a new update to the platform with a fix to solve the issue. But it seems the iOS 11.1.1 is causing the way bigger problem than the autocorrect bug for the iOS 11 users. The update fixes the autocorrect bug but brings app crash issue and problematic battery life with itself to the iPhones. 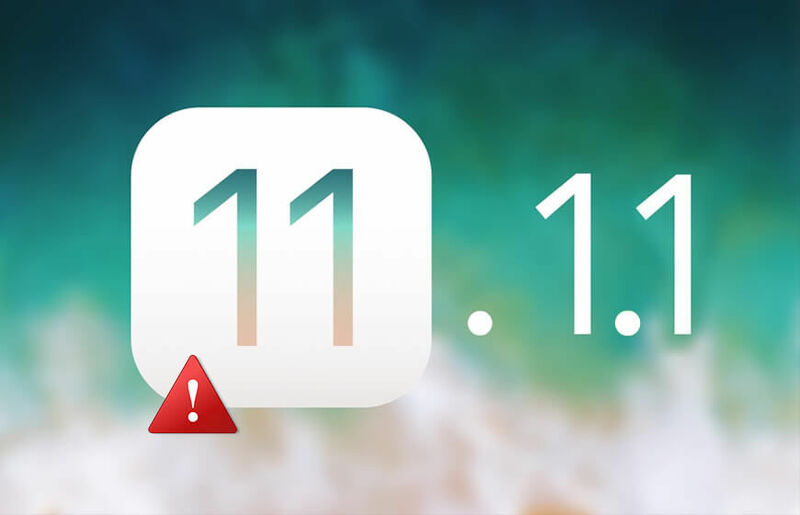 The iOS 11.1.1 version was released by the Apple a week ago and it started causing the problems for the users. The iPhone users thought they were downloading the solution to their ‘am’ instead of ‘i’ problem but it turns out to be more annoying. The users experience that the new update is causing the frequent app crash and the battery life of the phone is not the same. After updating the iOS 11 with the available update, the performance of the battery is reduced drastically and it drained out in no time. The battery issue is not the only concern, the users also shared that the mobile apps crashing every now and then. Some of the users also mentioned that their iPhone 7 Plus is getting off and on by itself. The furious iPhone users took it to the Twitter and criticized the company for ruining their iOS 11 experience. Recently many users also complained YouTube on its Twitter account about the YouTube app causing a problem on Apple iOS 11. According to the users, the YouTube app was draining too much of the iPhone battery while watching videos. Along with this, the app was also making the body of the iPhone warmer and causing issues. On this YouTube released a new update for the app on Monday, but the update does not specify the changes. According to the company, it is actively working on the iOS 11.2 beta version to add few more feature to it. The update of the iOS 11 will incorporate the prompt in the control center that will tell the user's why turning off the Wifi and Bluetooth will not disable them permanently. Apple is adding this prompt after the users were freaked out when they saw the control center only showed connected and disconnected state in iOS 11. Whereas there are three options connected, disconnected and disabled under the settings app.